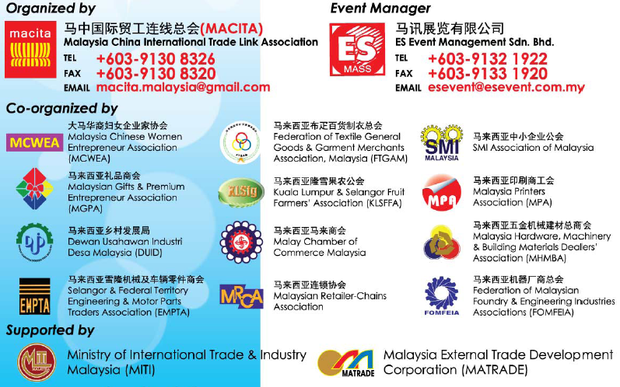 The 10th IBS 2013 is proudly to presented by Malaysia China International Trade Link Association (MACITA) and ES Event Management. The main objective of the exhibition is to develop brand name recognition among domestic and international consumers. This is a golden opportunity for all manufacturers and traders to take full advantage to develop strong brand identification.